Even though it might seem like a small part of any collection of waste, green waste is extremely important to both consider and dispose of properly. A failure to properly dispose of green waste can have a serious impact on the environment, which can also accumulate legal and financial costs if the environmental impact is serious enough. However, there are many different ways to properly dispose of green waste, from composting small amounts of green waste to organise green waste-specific skip bins to collect large amount of green waste for disposal. As green waste is made of plant matter, it is entirely biodegradable, which means that if it’s disposed of properly, you don’t have to worry about any green waste that you’ve produced harming the environment. The biodegradability of green waste also means that it can be used as compost or as a component in other fertilisers, which you can use to benefit either your garden or any residential projects which result in the development of green waste. There are many ways to develop compost. You can either do yourself using a compost bin, or you can give your green waste to a company that can turn it into compost for you. As there can be many different types of green waste in the garden or on a site, it can be difficult to keep track of it. Eventually, all that green waste can start to build up and make the area look rather cluttered and dirty. However, there are many benefits to persevering and keeping your area free of green waste, such as keeping away pests or parasites that may choose to hide in your green waste. Properly disposing of green waste also greatly benefits the environment. Disposing of green waste properly means that the green waste doesn’t have the opportunity to decompose and release harmful gases into the atmosphere. As well as this, properly disposing of green waste by turning it into compost or using it in any other fertiliser means that it doesn’t end up in landfill or any other waste management program, saving those procedures for waste types that actually need more thorough waste management programs. These are just some of the reasons why proper green waste disposal is so important. 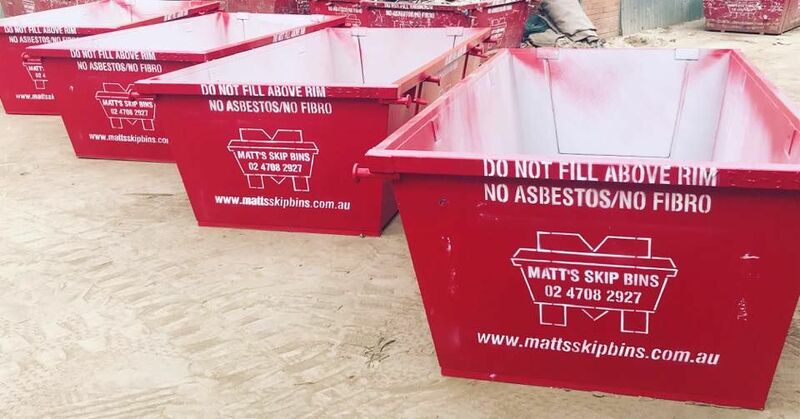 If you’re looking to dispose of a large amount of green waste and have it disposed of correctly, talk to Matt’s Skip Bins, one of the leading skip bin hire companies in Sydney. We have an extensive range of skip bins, so we can tailor to many types of waste and many different amounts of waste. If you’d like to learn more, give us a call on (02) 4708 2927 today.